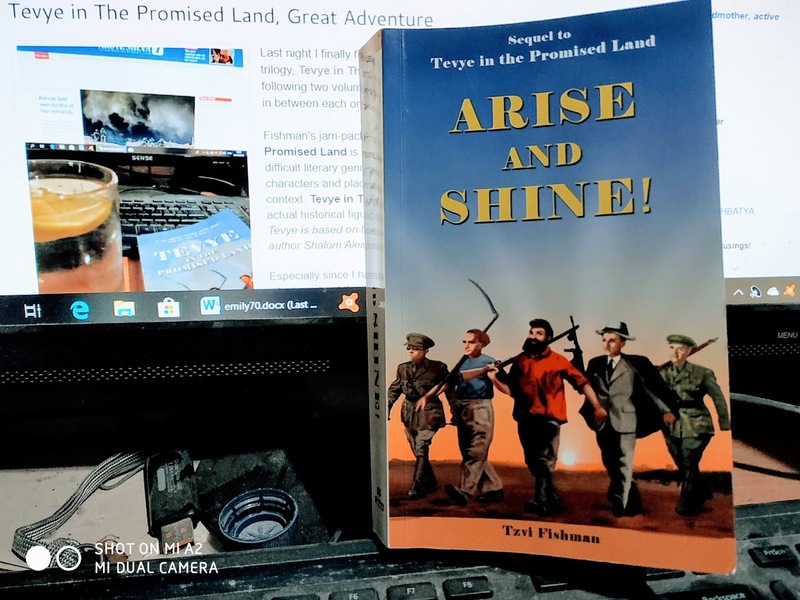 I'm truly enjoying the adventurous Tevye in the Promised Land series by Tzvi Fishman. I've coined them the Forrest Gump genre of literature, a subgroup in historical novels. Now for the second in the series, which tells what happens to Tevye the Milkman and his growing family, once they're well settled in the Promised Land, Arise and Shine. Life isn't simple and calm for Tevye and his clan. Like the fictional Forrest Gump, Tevye and his family not only participated in the most important and game-changing events in post World War One Mandate/Palestine, but they knew and interacted with all of the main historic figures. For me, personally, it's a sign of Fishman's writing skill that he created very realistic younger versions of some people I actually knew. The young and idealistic Moshe Segal in Fishman's books could very well be what our elderly neighbor in Jerusalem's Old City had been like a half a century before we knew him. 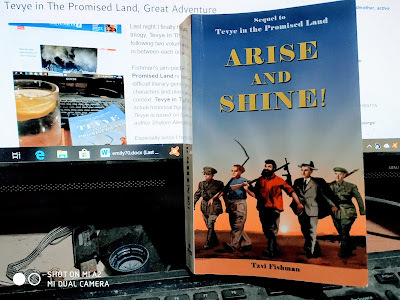 You can see in the cover of Arise and Shine, the fictional Tevye is flanked Zeev Jabotinsky, David Ben-Gurion, Yair Avraham Stern and Yosef Trumpeldor. That simple illustration summarizes this entire series by Tzvi Fishman. Tevye was much more than a simple milkman. Even more than that, Fishman doesn't sweeten the story, making Tevye and his family immune from the violence and dangers of the time. 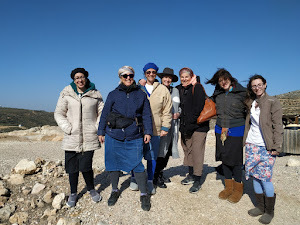 In Volume #1 Tevye in the Promised Land, illness and Arab terrorists were the killers of Tevye's daughters and friends. But in Arise and Shine, Arab terror becomes the biggest danger. And to make matters worse, the British, who are supposed to be keeping the peace and facilitating the establishment of a Jewish State favor the Arabs and restrict Jews, even from self-defense. Tevye and his family gave up on their rural, agricultural life and are living in Jerusalem, where Tevye the milkman has a milk route. Chief Rabbi Kook is the rabbi Tevye looks up to, as he has since his earliest days in the Promised Land. In the struggle for a Jewish State, most of Tevye's family find themselves firmly in the Revisionist camp. David Raziel, Uri Tzvi Greenberg, Moshe Segal and Avraham Stern are among those who visit Tevye's home. 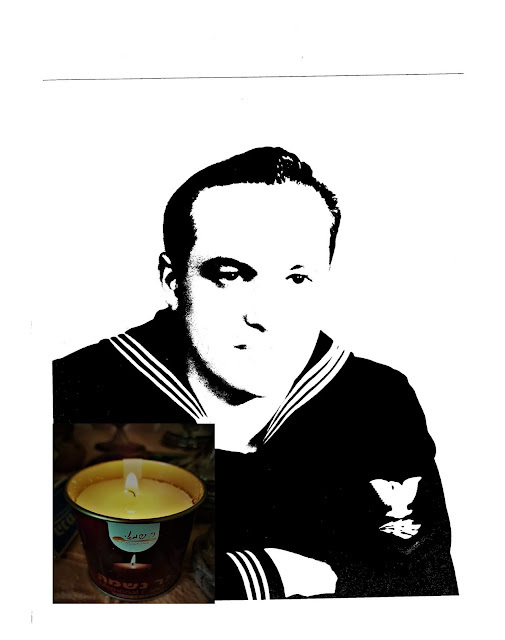 The mix of true history and fiction Tvi Fishman cooked up in this series is a perfect blend. For those readers who aren't familiar with the history and historic characters, I highly recommend reading the books slowly and supplementing with a bit of quick research if necessary. Again, I must say that the book could be made into a riveting television series. It's also a great book to read to children, instead of letting them watch the "screen." The book is a lot "cleaner" than what you'll find on television or in the movies. I highly recommend Tzvi Fishman's Arise and Shine as a book for all ages. I'm now almost half way through the third volume, and I understand that there's a fourth in production, which Gd willing will be published in under a year.